Calling all businesses! 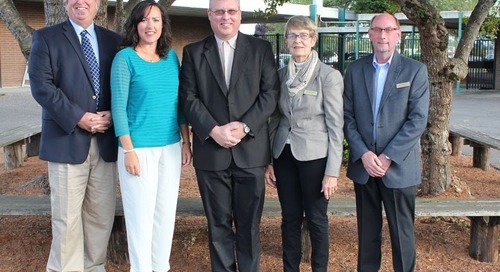 Would you like to connect with soon-to-be graduates and local community members and help educate them about career opportunities in southwest Washington? If so, then look no further than Battle Ground Public Schools’ 2017 Industry Fair. 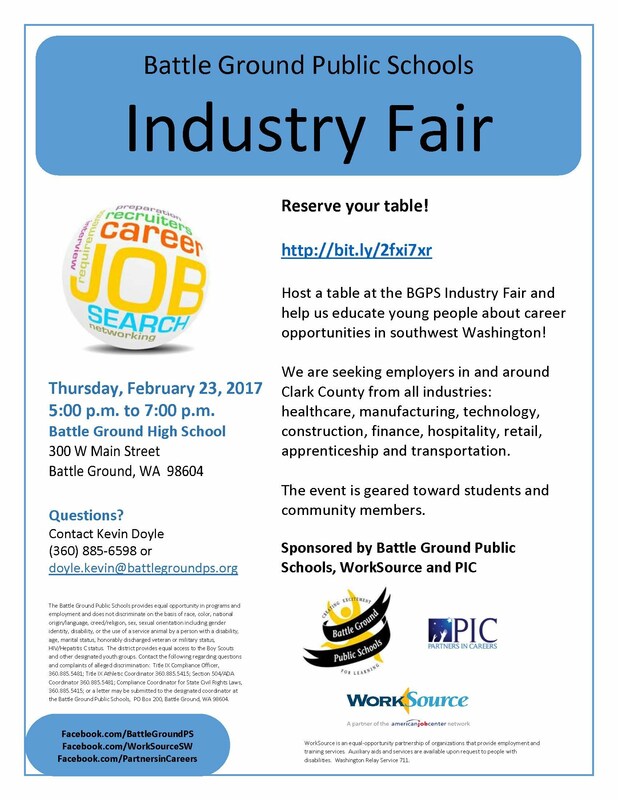 The event, sponsored by BGPS, WorkSource and Partners in Careers (PIC), will be held from 5 to 7 p.m. on Thursday, Feb. 23, 2017 at Battle Ground High School, 300 W. Main St., in Battle Ground. Battle Ground Public Schools is accepting reservations from employers located in and around Clark County for tables at the event, where employer representatives can meet with students and community members about career opportunities. All industries are encouraged to participate, including healthcare, manufacturing, technology, construction, finance, hospitality, retail, apprenticeships, transportation, and more. We hope you’ll join us for this worthwhile and educational evening at Battle Ground High School. Please sign up for an event table by Feb. 15 online at http://bit.ly/2fxi7xr, and contact career guidance specialist Kevin Doyle at (360) 885-6598 or doyle.kevin@battlegroundps.org with questions.